BeautyFIX February 2018 FULL SPOILERS + COUPON! 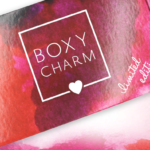 We have the full spoilers for the February 2018 BeautyFIX subscription box! What do you think of the February BeautyFIX spoilers? BeautyFix is $24.95 a month. 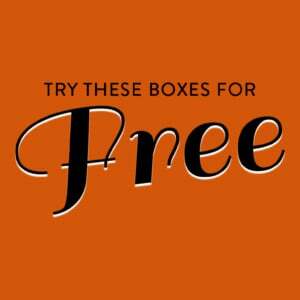 Now through Feb 28 (while supplies last), get a free bonus sample of your choice when you subscribe! Replenix Neckletage tightens and hydrates the skin on your neck and chest so you can worry less about the delicate skin giving away your age. formulated with a proprietary blend of active ingredients, this neck firming cream supports healthy collagen and elastin production to smooth away lines and wrinkles and even your skin tone and texture. no more lines, loose skin or age spots, just smooth, soft skin loaded with antioxidant protection. Dermalogica Charcoal Rescue Masque harnesses the absorbing power of activated charcoal to clear your skin of any impurities and dirt while sulfur and volcanic ash exfoliate and remove dead skin. Formulated with natural ingredients like niacinamide and Chilean wild mint, this clay face mask reduces the size of your pores while improving skin elasticity. The best part is that you only need to wear it for 7-10 minutes to see results. Eh, it’s okay. I’ve tried none of the pricey sheet masks, so I’m thrilled to do so and don’t want to pay retail. The La Roche-Posay and Replenix are both solid happy skin-loving products that I will use. Normally I’d love REN, but they put citrus oils in their tonic!?! That stuff can be irritating/sensitizing so I’m on the fence; otherwise I’d use it. Will at least try the root lift, and the others are a pass. I’m usually okay with the box as long as there are a few good skin/hair products, and this box has that (barely). One sheet mask with a retail value of $35? Is this a joke. Do people actually purchase one sheet mask at this price? It’s not significantly more money to get a facial. Ladies, the necklatage actually WORKS!! I swear by this stuff. I had some creepy skin between my breasts and after a week of using this it was gone. it is really expensive so I hunt and harass for samples on swap lol. I like charcoal masks to clean my pores too, everything else is a big flop! This month is a dud for me. This is my 3rd month with this sub. Been ok so far except this box. Nothing I would buy again and except for the mask (which I would not repurchase due to price) everything seems like stuff from a bargain bin. I spent a lot of time reading through this website looking for a good skincare sub box that provided a good value and full sized products for what I paid, and this was what stood out to me. Can anyone recommend some others? I am looking for the same thing. These look like low value sample sizes from Ipsy or play. I am wanting a good full size, big value, box for skincare that compares to BoxyCharm and makeup. I agree, if anyone knows of a box which is like Boxycharm but with skincare, please suggest! Yassssd! MK is the kiss of death. The only brands worse are those still being tested on animals. Please explain why MK is so bad — I have not had much experience with their products and your message is alarming, ha. I think it’s because sub boxes are so oversaturated with them. I actually use Manna Kadar products including the Glo, blushes/highlighters and primer. The only product I REALLY disliked was the Flutter mascara that I threw away after one use. The products are cruelty free too. Not excited for this month box. Have been happy with the others so will see what next month brings before I decide whether to cancel or not. ITA. This is the first box I’m not particulaly impressed by. The tiny little, mini sized products (fullsized?!) with the redic overinflated values in this box is laughable, really. I used to sub to beautyfix but it has gone so downhill in the past year. What a shame. I agree. I was really surprised at all the small sample sized products. Not sure what is going on with BF, but might have to reconsider my sub with them. So, not the most exciting month ever, but I I still feel like the value is there to try new things. I really appreciate this is focused on skin care and not make up, so I may find some new discoveries. I am not disappointed. Cancelled forever, their boxes used to be the best! I love Beautyfix but this months box was a huge disappointment. It doesn’t seem to have a lot of value like the other boxes. I would never repurchase a $35.00 sheet mask. I got the same Ren product as a free gift with purchase at Sephora with a promo code from retail me not. I hope March will be better. I’ve been with Beautyfix for about a year, and I think I’m done. 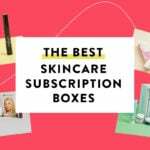 I’m looking for a recommendation for a skin care focused box with good quality, full-size products and not a budget buster. Any thoughts? NO way these are actually worth $100. I canceled for this month and ordered one of their substitute boxes that had Dr. Brandts in it. I don’t like to receive products that are two expensive to ever buy again like a 35.00 face mask. I seen the QVC Box with a full size hair mask Jar in it… Much better buy ordered that as well 🙂 I have product overload so trying to slow down. I wish Beauty fix would give more cleansers and scrubs. These are things you use up quick or maybe even some bath products like a nice scrub or Bath sponge or salts to relax and moisturize the skin. Cleansers & scrubs – me too! I was really hoping for a facial cleanser this month. I’m usually happy with beauty fix but this month is a bit of a dud for me. How come they stopped including a beauty tool in their boxes? It seems like the past couple of months they haven’t included one, it was always a nice staple IMO. I haven’t gotten one of these in a while, but I agree they seem to be not nearly as high value as they once were. I remember getting boxes of all full sized items a year ago. I can’t wait for this box to arrive, it is all things that I haven’t tried. I’m especially excited to try the sheet mask, the Ren AHA liquid and the nail conditioner! Happy to have cancelled this month. Nothing worth almost $30…at least for me. Usually love this sub, hope they get back on track next month! This was an easy cancel for me since I’m on product overload right now. I hoping March will be more exciting. I’m actually still really looking forward to this box! Still one of my favorite subs as I typically use everything! I use everything in my BeautyFix box, too. It’s relaxing and fun to take a few moments out of a hectic day in the morning and evening and pamper myself with new skincare items I normally might never have tried without being introduced this way. I’m so glad I cancelled the box when I saw this month’s earlier spoilers. Getting all the little stuff in this month’s box would have made me furious. This is a poor excuse for a box. They used to be great, but really went downhill. I LOVED this box when I first starting receiving it 4-5 months ago. This may be on it’s way out after this month. I despise skin care samples, you don’t really know how the product performs after using it 2-3 times before the product runs out. I used to rave about this box. Meh. Me too! A nice cleanser and scrub would be great too! I wish they were in every box as they get used up fast and it’s good to try new ones. I agree with y’all…it would be nice to get some products that get used up quickly like cleansers, toners, and scrubs. I’m a bit on product overload and should take a break from subs but I can’t seem to give up those box deliveries. BF has included hair products in the past. I am always happy to try to new hair products. I miss the beauty tool they used to include also. A travel toothbrush and toothpaste would be nice.